I just wanted to post about Maya’s latest creation. She wanted to make some gifts for Alfie and Leon. And she decided to ‘renew’ some old pencils…. Are they not just lovely? A little glue, some tiny gems, some ribbon and a couple of beads. Oh! 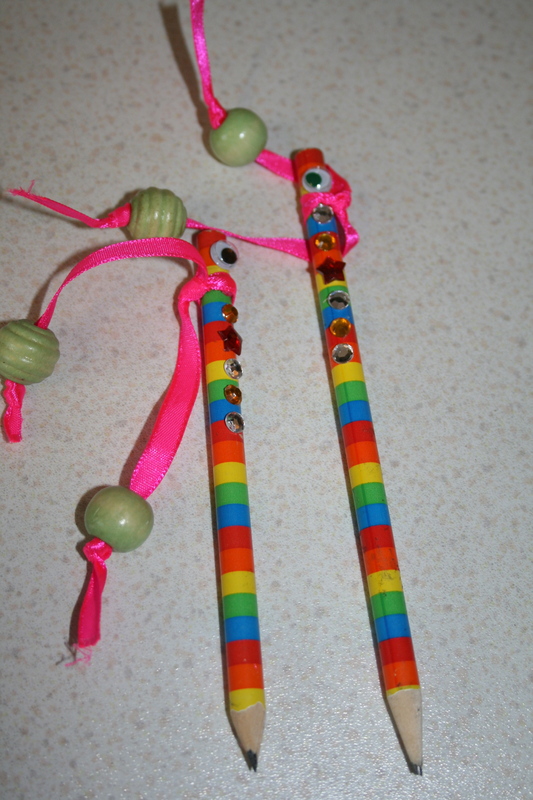 And two goggly eyes!